When I am working with a client, going on a personal shopping trip allows me to be at my most creative. And I love teaching the subject to my style trainees as it gives them the opportunity to use pretty much all the elements of their newly learnt skills in one activity. It is such a privilege to be able to help someone find the perfect outfit or find a selection of different garments that will create their ultimate capsule wardrobe. And nothing can beat the feeling when you help someone enjoy the whole shopping experience and see their confidence soar, when they realise how great they look. Other advantages are that you can judge the client’s reaction to the clothes that you have have selected and help inspire them to perhaps try something new – they are also learning as you work with them. Being in store also allows you to quickly sift through the options and order or find the right size immediately. This type of personal shopping session is perfect for first time shoppers as it gives you the opportunity to get to know each other. This is when you go shopping/browsing before meeting your client and select a range of garments for them to try on with you. This saves the client time as they don’t have to be with you whilst you are choosing the clothes but only choose this option when you know your client’s likes and dislikes really well. As a consultant you need to add this pre-shopping time to the fee that you charge the client. You will also need to work closely with the store to ensure that you can “hold” stock until the client arrives. This is similar to the pre-shop service and is very useful if your client is short on time. You would literally shop for the client and purchase the garments for them – this could also be online. You would then meet the client at their house or office and you can then select the best items. You would then return any unwanted items. Only offer this service when you know your client’s likes and dislikes really well. You would need to have good credit on your credit card (or access to their card…! And again remember to include your shopping and (returning) time in the fee. This could be done together or as a shop for you service. It is very useful for clients who are disabled or as a quick follow up to a wardrobe sorting session. If the client is short on time, you could research a number of different options and send them the links so that they can purchase the clothes. You would then arrange a time to meet so that you can see the items on the client and select the best options. 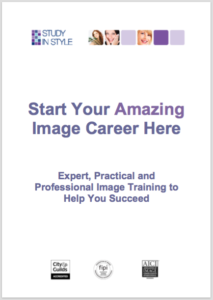 Again only offer this when you know your client’s likes and dislikes really well (and their body shape and colouring!) And include any research time in the fee. 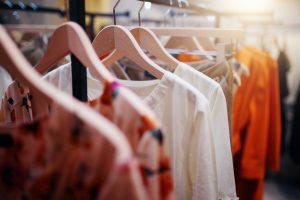 When shopping with the client, to ease overwhelm, focus on a few key sites or use the filters on a store’s website when looking for a particular garment type. 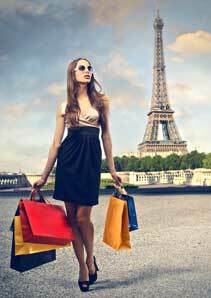 If you speak another language and live in a big city then you could offer shopping trips to visitors, conference delegates or spouses. Also, if you speak another language could you arrange shopping trips in another country? There are so many opportunities to offer personal shopping sessions in addition to your image consultancy or personal stylist consultations. If you have been working with a client – organising their wardrobe, helping them to understand their best colours and styles – then taking them shopping really is the pinnacle of the whole experience. Plus most of my clients love it so much they would never shop on their own again!